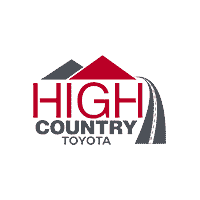 Securing a new auto loan is simple when you work with the experts in the finance department at High Country Toyota in Scottsboro, AL ‐ serving Albertville, Anniston, Fort Payne, Gadsden, Guntersville, and Madison. With help from our kind and attentive staff, you’ll be able to find a new auto loan that suits your budget. We know that figuring out the payments and making sure you can afford your new vehicle is incredibly stressful. We’re going to do whatever it takes to keep you calm and satisfied throughout the financing process. Even if you have less than perfect credit, we can work with you to find a solution that works. There’s no reason to let your dreams of owning a new Toyota fade away. Our online tools can jump-start the process. Before you even come in, you can value your trade-in, calculate your payments, and complete the finance application online. Make sure you also read about our College Graduate Program and our Military Rebate Program to see if you qualify. Schedule your appointment by calling 888-739-3256, and don’t forget to get excited about driving home your new Toyota today!